This website is used be many extension developers to share their nightly or CI builds with their users. After installing this extension you can see all the extensions from vsixgallery.com directly in the Online and Updates tabs in the Extensions and Updates dialog. This makes it very easy to grab the latest builds of your favorite extensions. 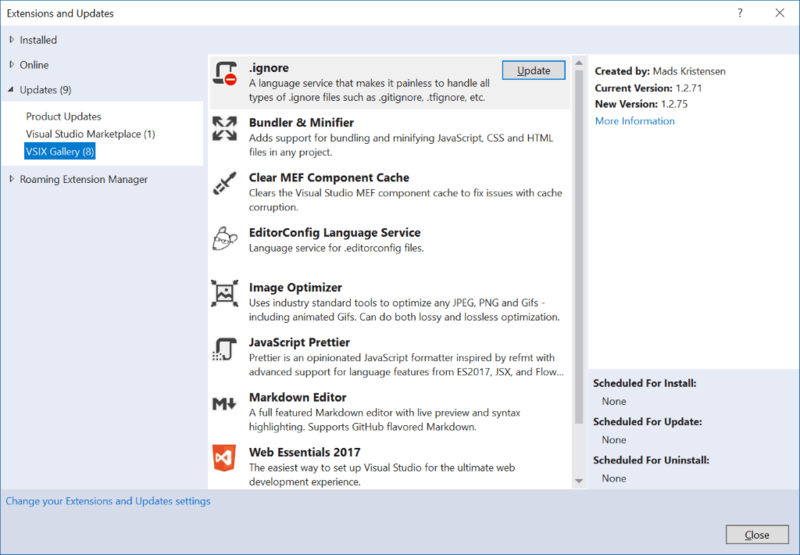 By default, Visual Studio 2015 and newer will automatically update any extension when a new one becomes available on either the Marketplace or any custom feed like the one added by this extension. This will ensure that you are always on the latest builds of any of the supported extensions.